Techies Sphere: Migrating DNS Control Panel from Microsoft Office365 to Third Party DNS Service Provider. 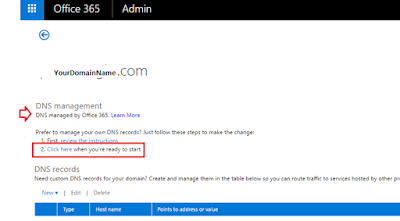 Migrating DNS Control Panel from Microsoft Office365 to Third Party DNS Service Provider. Or, How to migrate DNS control panel from Microsoft Office365 to EasySpace or any third party DNS service provider? Descriptions: We are planning to migrate our DNS control panel from Microsoft Office365 to EasySpace DNS/Domain service provider because of so many restrictions and limitations in Office365 DNS control panel. Technically, Its take 1-2 hrs approximately to copy all DNS records from Office365 DNS control panel to third party DNS control panel depending upon the number of DNS records you have in Office365 DNS control panel and overall migration activity can be completed within 3-4 hrs including global replications, but logically you should have at least 12-24 hrs of estimated downtime to get this activity completed successfully. Some DNS provider even asks for 24-48 hrs of downtime for replicating DNS records globally. We will talk about all major steps we should be considering while/before migration of DNS control panel in detail. 1. You can't create multiple/additional MX record in Office365 DNS Control Panel. 2. Including multiple IP and domain keys in SPF record is not fully functional as its displays duplicate entries sometime in SPF lookup. 3. You can't create sub-domain in Office365 DNS control panel. 1. Take backup of your existing DNS records from Office365 DNS control panel. 2. Check who is your Domain service provider and make sure you have admin access of the control panel portal. 4. understand what all are the things you need to do at new DNS control panel before and after setting up your NS records. 5. Record NS records entries of both DNS Service Providers (Office365 and Third Party). 6. Plan for a feasible downtime. Sequence of tasks to be performed. 1. 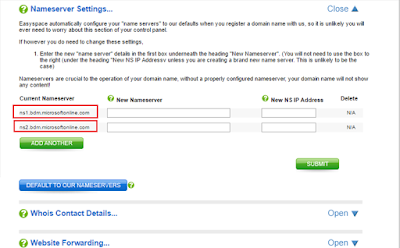 Pointing Name Server (NS) record to your domain service provider’s DNS control panel. 2. Performing migration steps on Office365 DNS Control Panel. 3. 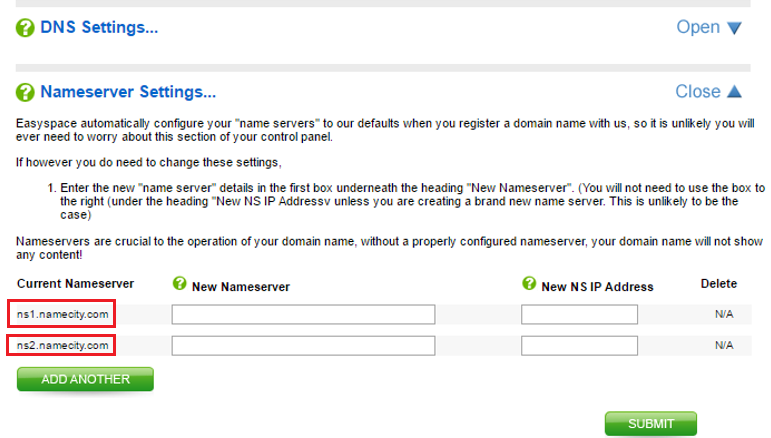 Creating and updating all DNS records on third party DNS control panel. 4. Verifying Services and functionalities. Wait for NS record pointers to be updated. It may take up to 1-2 hrs or more... Remember, you have already taken 12 hrs of downtime in advance…. So, don’t be panic, wait till it updates. 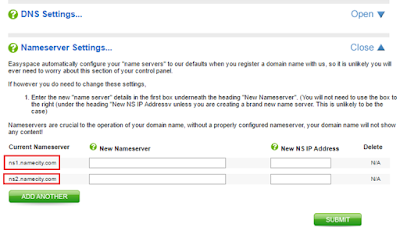 My NS record has been updated well and now I am able to see “Launch DNS Tool” option. Note: Once your name server is pointed to new DNS control panel. You can proceed with below steps on Office365 Server to transfer all the DNS management responsibility from Office365 to third party control panel. You can see here; DNS Management is appearing as ‘DNS Managed by Office365’. Click on “Click Here” hyperlink when you are ready to start. Now you will be able to see many of DNS records (MX, CNAME, A, TXT, SRV etc..) that to be added in your third party DNS control panel for proper functioning of Office365 server. Now, Login to your third party DNS control panel console and Create all the records recommended by MS by default one by one carefully. These records are mandatory to be created first in your third party DNS control panel to make sure proper functioning of your Office365 Server emails and other services. 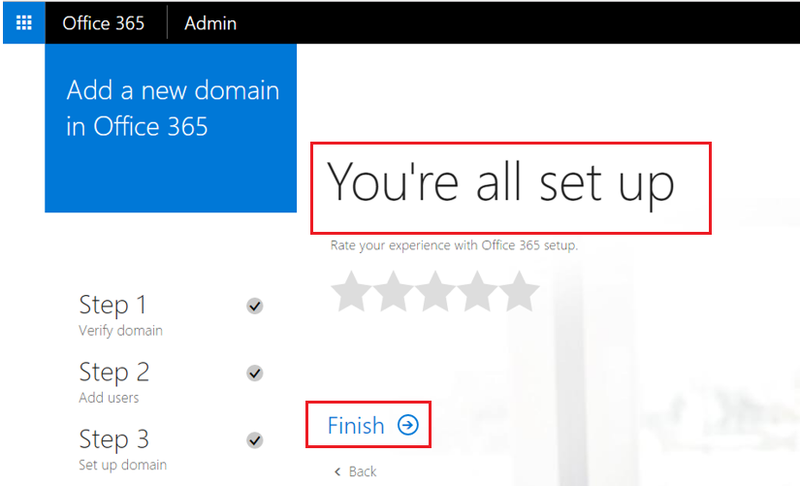 Once you are done with creating all the records in your third party DNS control panel, save it and go back to Office365 DNS control panel. That’s it… You’re all set up. Once the verification is completed, click on Finish button to close this migration wizard. Just to verify, if you will check the Domain Settings options again, it will show you that your DNS is now being managed outside Office365.